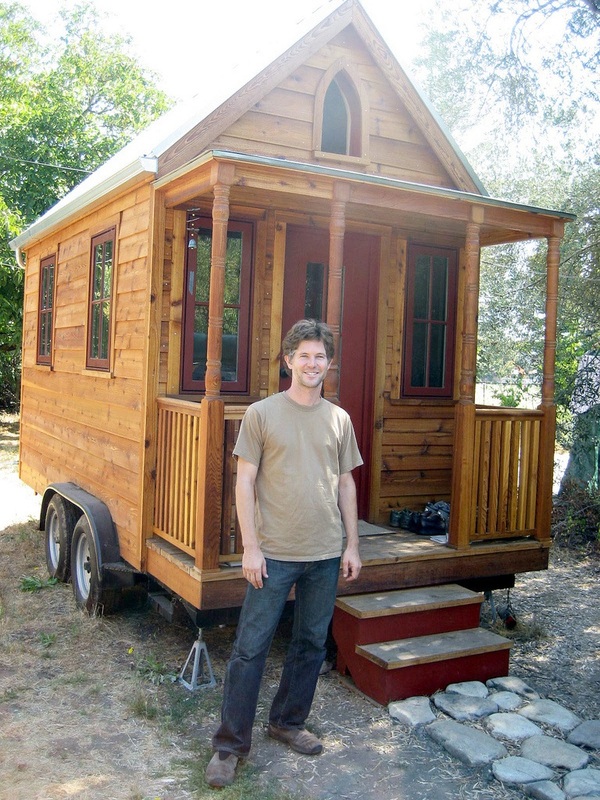 The past few years have been exciting for the Tiny House Movement. Even in the state of Utah, under heavy regulatory resistance, they are growing in popularity. This presents an opportunity for cities looking to attract business, and residents by meeting the unmet demand. A local Lindon resident and two partners living in Orem and American Fork are looking for a city to locate their business. Nordic Tiny Homes has built two Tiny Houses and has tested markets for unique vacation rentals. We have found a perfect location for our operation in Lindon and are ready to open shop. Most the preliminary work has been done for this location. We have a sub-lease lined up with the owner of the Lindon Marina. We have permission from the State entities who control the land. We have investors. We have Tiny Houses and will eventually test the market with RVs. We have a ready market. Now we need the approval and cooperation of Lindon City and The Utah County Health Department. The following sections outline what we would like to do and provide resources for cities and counties that are receptive to the idea of Tiny Houses but need more information to understand our idea. Jay Shafer is thought to have started the modern Tiny House Movement when he built the house in the background. Photo: Todd Lappin, Creative Commons, some rights reserved. Tiny House: A Tiny House is a structure (typically built on a trailer) that is intended as a full-time residence or year round rental, (source) is less than 400 square feet, with most closer to 100-200 square feet, AND is intended to resemble a typical single-family home in appearance, style, and quality. (source) Frequently, a distinction is made between a tiny house and a small house; the later of which would be 400-1,000 square feet. Tiny House On Wheels (THOW): Your typical Tiny House is actually a Tiny House on Wheels. 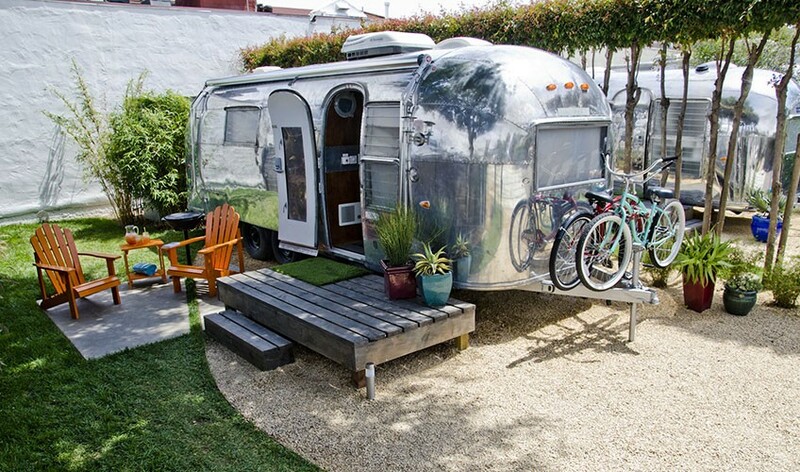 When built on wheels, they are typically treated as RVs by cities, RV parks, etc., even though a tiny house is built for full time living and to much higher standards. Recreational Vehicle (RV): "An RV is a vehicle designed as temporary living quarters for recreational, camping, travel or season use." RVIA website. "RVs are defined as either motor vehicles or towable trailers, and are primarily intended for leisure activities such as camping and vacations." Recreational Vehicle on Wikipedia. We are proposing connecting city water and sewer and installing RV spots with hook-ups in the Lindon Marina in order to set up and rent out by the night a small number of Tiny Houses and possibly RVs. Guests will stay a few days but the Tiny House and RVs will stay months or years. The Marina is already a recreational area that accommodates recreational vehicles for short term stays, (the State has a 14 day stay limit for guests). We plan to leave the Tiny House in place for an extended period of time, but intend to keep it mobile. Long-term stays in RV parks for people living in RVs are not uncommon, but some cities have ordinances against it. Luckily, even if a city wants to have those rules in order to keep people from living in the RV parks, we satisfy the intent of the law, as guests will only be staying an average of 2-3 days. No person will ever live there, nor stay longer than 14 days. We feel this proposal should be acceptable to a business friendly city that has an open mind to innovation. We have many examples where this and similar businesses are opperating currently. Early 2013 Portland allows Caravan the Tiny House Hotel to open it's doors as a legal accommodation. Quick synopsis on their website. They are technically a "recreation park" with the Tiny Homes designated as "travelers' accommodations." YouTube Tour. (This link skips to the zoning info). 2014 In Lyons, Colorado an old mobile home park destroyed and turned flood plane gets permission to add temporary/mobile Tiny Houses on Wheels on the WeeCasa property to compliment their wedding and events business. News story with video. November, 2015 The City of Fresno, California enacted a new Development Code with specific language defining and supporting Tiny Homes. Announcement and code. January, 2016 Fresno is the First City in the Country to Approve Tiny [Houses] on Wheels in Residential Neighborhoods. Story and linked articles. Around early 2016 Lantier, Québec, Canada started a development for small houses with and experimental section planned for Tiny Houses on Wheels. YouTube Video. October 2016 Pleasant Grove legalizes Tiny Homes on foundations as accessory dwelling units. Story here. Story here. November 2016 "The Salida City Council [Colorado]... approved a plan to build 200 tiny homes... marking what could become the nation’s largest tiny-home community and a showcase for a potential solution to Colorado’s housing crisis. Denver Post Article. Council notes/packet with project starting on page 44. December 6, 2016 The International Code Council accepted an appendix to the 2018 IRC that was advocated by a group led by Andrew Morrison. A list of his Blog posts, etc. chronicling the event. April, 2017 "Garfield County, CO adopts Land Use and Development Code and building code change. [This] text amendment... strikes an existing square-footage requirement in the code that set the minimum size of a single family home at 20-foot wide by 20-foot long. "10 Press Release. June 27, 2017 - Idaho has early adopted the Tiny House Appendix to the 2018 IRC in response to at least one request from a citizen. Her story about the process. Presentation notes from a presentation to her State board.